Rheumatoid arthritis is a disease often seen and treated in the physical therapy setting. 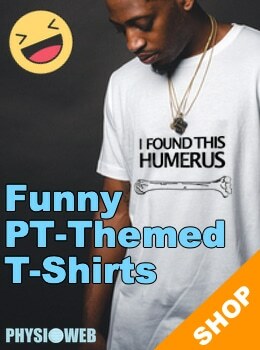 This article, written from the point of view of a physical therapist, provides an overview of the disease, the prognosis for those afflicted, and common treatments. Rheumatoid Arthritis (RA) is a systemic autoimmune disorder of unknown etiology. Autoimmune diseases are illnesses which occur when the body tissues are mistakenly attacked by its own immune system. The major distinctive feature is chronic, symmetric and erosive synovitis of peripheral joints. The severity of the joint disease may fluctuate over time but the most common outcome of established disease is progressive development of various degrees of joint dysfunction, deformity and disability. Who Does Rheumatoid Arthritis affect? This systemic disease affects 1-2% of the adult population in every part of the world. RA affects more than two million Americans. RA increases with age for both men and women. Peak onset is 20-45 years of age. Prevalence is higher in women. More than 75% of people with RA are women. Rheumatoid factor is found in the serum of approximately 85% of people with RA. 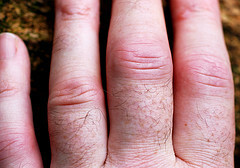 What are the signs and symptoms of the Rheumatoid Arthritis? According to the American College of Rheumatology, four of the seven symptoms indicate a diagnosis of RA. Morning stiffness lasting more than 1 hour, present daily for more than 6 weeks. Arthritis of 3 joints lasting for at least 6 weeks. Arthritis of hand joints lasting for at least 6 weeks. Symmetric arthritis lasting for at least 6 weeks. Positive Rheumatoid Factor on blood tests. What Joints are typically involved? presence of swelling often not detected. almost all patients with RA have hand, wrist, MCP (metacarpalphalangeal) and PIP (proximal phalangeal) involvement. What other extra-articular effects are common? Prognosis of Rheumatoid Arthritis is uncertain due to the prolonged nature of the disease, its variability among people affected as well as the difficulty in defining the milder and subclinical forms of the disease. What is the Treatment for Rheumatoid Arthritis? The aim of treatment is to provide pain relief, decrease joint inflammation, maintain or restore joint function, prevent bone and cartilage destruction, and to maximize quality of life. Aggressive and early rapid control of inflammation is now the common approach to therapy. Current guidelines recommend that the majority of patients with newly diagnosed RA should be started on DMARD therapy within three months of diagnosis. NSAIDS (non-steroidal anti-inflammatory drugs) – these drugs decrease joint inflammation and pain. They will help improve joint function by providing analgesic and anti-inflammatory effects. Unfortunately, these drugs do not change the course of the disease or joint damage and, generally should not be used as the sole treatment for RA. SAARDS (slow-acting antirheumatic drugs) / DMARDS (disease-modifying antirheumatic drugs) -these drugs are the only ones that have been proven to control or slow the progression of the RA disease process. Methotrexate is the preferred and most common agent chosen for initial therapy. Oral Corticosteroids – proven to be useful for symptom relief and appear to slow the rate of joint damage in RA. Long-term use can have adverse effects on the patient and therefore limits their use in RA. Guidelines for the management of rheumatoid arthritis. 2002 update. American College of Rheumatology Subcommittee on Rheumatoid Arthritis. Arthritis Rheum 2002; 46:328-46. Carruthers-Czyzewski P. A holistic prescription for rheumatoid arthritis. CPJ 1998; 131:35-9. Reddy I, Robinson B, Khan M. Rheumatoid arthritis: symptoms, diagnosis and clinical management. Drug Store News 1998; 20:27-31. Lacaille D. Rheumatology: 8. Advanced therapy. CMAJ 2000; 163:721-8.